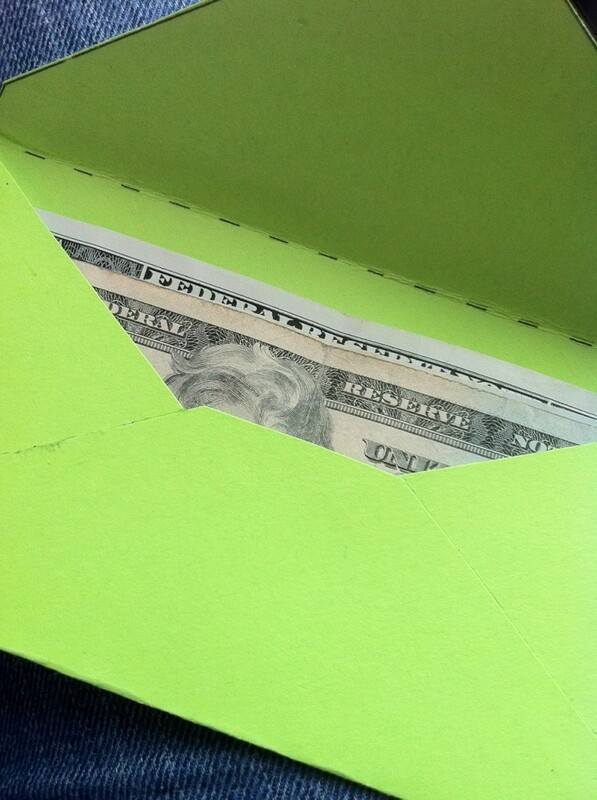 I’ve been using my cash envelopes faithfully, each month of this year. I have 4 envelopes for groceries, 1 for each week of the month. 1 envelope for “lunches out.” And another envelope for “blow money.” We recently added the “blow money” envelope because we found that our miscellaneous monthly expenses were going beyond what we had intended. By putting these kinds of expenses into “blow money” and using cash only, we have seen a significant drop in our miscellaneous expenses. Overall, using the cash envelope system for all of our food expenses, grocery to lunch to dining out, as well as our miscellaneous expenses, has been such a blessing to us and to our financial situation. Once you can get past the “but I just want to get” emotions when you are out of, or almost out of cash, you will be on the road to better financial (and emotional, spiritual, mental) health. 1. Accountability. When you are out of cash, you are out of cash. Using cash helps keep you accountable to your planned expenses, and to your budget. 2. Emotional Separation. I have tried a number of different tactics for grocery shopping specifically…using the debit card, using a pre-loaded gift card, and using cash…and there is just something different about cold hard cash. As opposed to cold hard plastic. Swiping your card means nothing. You don’t see the $$ leave your bank account. You don’t “feel” it leave your bank account. And you may not even see the end of the month statement, if you don’t handle the family finances. In this case, it really does mean nothing to you. It’s like it’s free money…floating around in cyber-bank-grocery land. But using cold hard cash requires a physical transaction, that has emotional meaning. There is an emotional separation aspect to using cash that is just not present when using whatever type of plastic. 4. Planning your Purchases. You won’t know how much cash you will need unless you plan your purchases. Once a week, Steve and I sit down for a “Sunday Night Meeting.” These meetings allow us time to look at the big and small picture of our finances. They allow us to plan our purchases and help us make decisions about things big and small, like when to buy the big filing cabinet, when we can plan to replace our bed, and how much we can be putting away for retirement and college funds. These meetings helped us to pay off our van debt in a year and to up our retirement and start college funds for the boys. Without this time where we discuss our planned purchases and expenses for the week, we’d still be making van payments long after we needed to be! 5. Financial Goals. As mentioned, using cash has helped us attain our family financial goals at a much faster pace than if we’d not be using cash and paying such close attention to our spending. I can tell you this for sure, we would not be debt free, we would not be saving for retirement and we would not be setting money aside for college funds if we were not using cash on a daily, weekly and monthly basis. With a few goals, a little planning, some focus, accountability and cash envelopes in hand, you’ll be well on your way to financial freedom. Do you use cash envelopes for grocery shopping or other parts of your family budget?! What do you like, not like, about them?! If you haven’t used them, are you willing to give them a try?! Wonderful! We don’t do the envelopes, but I love this idea. We do do (do-do?) a once a week meeting to discuss finances, goals, where we’re headed, plan out expenses, etc. great post, Erin. It’s great feeling to be without consumer debt. Most definitely Stacey! Both books will surely help your grocery budget!!! Before credit and debit cards EVERYONE used cash envelopes for all bill paying. It is the only way to go to keep within your budget. There are two reasons why I’m hesitant to go to all cash. 1- We get rewards from using our credit card, and we usually choose a $100 gift card to Target, which we spend half on groceries and half on something fun. We always pay our credit card on time, so we don’t pay interest on what we charge. PS – I should add that I’ve started recording all my grocery spending in a spreadsheet, so I can have an idea of how much I have left to spend each week. Of course, I sometimes “borrow” from other weeks when I don’t have enough money to get what I want this week. I wouldn’t be able to do this with all cash. Like you said, “When you are out of cash, you are out of cash”! We use a combination of cash and credit. Credit cards are for the “predictable” monthly expenses – utilities, insurance, and in our case gas also since we don’t do much “discretionary” driving. Each week I have a certain amount of cash for all those variable expenses – school books, vacation money, groceries. When I can, I save off from that weekly amount into a “vacation” envelope; when I need/want to, I pull out of that envelope to cover a more expensive week – but even then, I feel and see the decision I’m making. We used to use all credit. Switching to cash for those day-to-day discretionaries has worked wonders for us. Even with paying your credit card in full each month…many people (ME!) find that they just simply buy more when they are going to “swipe” than dig out cash…because there is not limit to your swiping budget…. You may actually be spending more than that $100 reward. You’re right! When we get away from the envelope system our budget goes out the window! Thanks for the reminder that we need to get back on track, too. We do cash envelopes for nearly everything. I still use my debit card for gas and groceries most of the time, mostly for convenience. We don’t do credit cards at all, so rewards done make any difference to us. Honestly, we never accumulated rewards fast enough to be worth the risk anyhow. I use the envelopes from the bank, the same way and everyone thinks I’m crazy. I like keeping money separated that way, It keeps me grounded. I liked this post until the comparison with Ritalin… I can’t believe people still buy into that drug. We use envelopes, but it is getting much harder with gasoline prices going up. Lauren: We get a $.05 discount per gallon at our local gas station for using cash. So that is another great reason to use cash! Also, studies show that even if you pay off your credit card every month, most people still spend more. (I forget the exact %, but it is significant). Of course, not everyone does that. Of course, that is what works for us on our tight budget. Each situation is unique! I agree about gas prices…that is why we still use debit card for that. The expenses we don’t overdo…bills, gas, hair cuts, chiropractor appts, etc….those we still use the card for. Retail purchases and fast food, that is what we use our cash for, to keep in check. We have the exact opposite reaction to cash than you do. When we have cash, we feel like it’s more available and don’t have any seperation anxiety when using it. When we hand over our debit cards, my mind is thinking about how much is left in my bank account and trying to do the math in my head. I always know how much we have without carrying a rec book with me. We also have bank rewards with our debit card and credit card. My husband and I talk about money DAILY and discuss bills and extra spending money. I guess cash/cards are all based on people’e opinions and needs and not everything works great for everyone. Cash works great for some people and cards work best for others. We are the same as you Jodi. Cash runs through my hands like water. I have no problem going to Sonic for a drink when I have cash but I won’t use my debit card for it. It makes all the difference in the world. We’ve tried it both ways and we spend more with cash then we do with our debit card. Every friday a certain amount of money is set aside for the week. When it is gone it is gone, period. If I have to spend more on groceries then we don’t eat out. If the kids need something extra for school etc then I buy the bare minimum at the grocery store. It works like a charm for us. Some weeks we have money left over, other times I have to tell my husband it’s going to be a lean week. Everybody is different and no one way works for everyone. There is no doubt in my mind though that if the money we set aside every week was in cash there would never be any left over! How do you build a good credit rating without using credit cards? We have excellent credit and enjoy having the credit card companies pay us rewards instead of us paying them interest, since we pay in full every month. I’ve used the rewards gift cards we get (sometimes double-value) as Christmas presents at the end of the year. As far as spending more $$ using credit cards vs. cash… I’d believe it. It definitely is easy to just swipe the plastic. One of the best things you can be is debt free. If that is the goal and you commit to no new debt, then a good credit score is irrelevant. I agree with the ones who spend more when they have cash. I’ve had a debit card since I was around 16 (I’m 30). Cash to me seems like “extra” money or money I have in addition to my bank account so I don’t feel guilty about spending it at all. I think I would have to go ALL cash to really get it. I love the idea of a “blow” money envelope! Especially need to try this one! We also are trying Dave Ramsey’s principles like many above! Thanks for this post! We recently switched to the envelope system after years of playing around with the idea. It has been so freeing for our family. We budget 3% cash of our income for miscellaneous or “blow money”. We finally feel like our finances are under control. I find I am much more self controlled and intentional at the grocery store with cash in my purse. Using the cash envelopes have helped us lower our food budget for our family of 6. When it’s gone, it’s gone. We don’t take out the whole monthly budget in cash for the groceries @ one time, only a week @ a time, or so. It prevents us from overspending. We Love Dave Ramsey & are debt free! I use a check book register to deduct my expenses from my budget number each month. Much like using the cash system, I know how much Ihave at any given point and can moderate my spending accordingly. When I get to zero, I’m done no matter how many days are left. If I end up with surplus, I get to put that into my slush fund for special purchases. We love Dave Ramsey! Read Total Money Makeover and were hooked! Sat down and made out the budget and saw how much wiggle room we *should* have each month…but it was not happening. The thought of a bunch of envelopes for every possible category was overwhelming. Taking stock of our debit card habits and check book register, we saw that the bulk of our overspending was just frivolous eating out, stopping for drinks, dollar store, etc. In lieu of multiple envelopes, we decided on a set amount weekly for grocery/health/paper/soap items, etc (Walmart shopping), with a cushion, and a set amount for eating out. We get that amount in cash each Friday and I put in in a mesh cosmetic bag in my purse…so I can “see” how much is in there. I do a weekly meal plan for our home and childcare business, taking into consideration family activities and days my teacher hubby has duty and needs to pack a lunch to school, most days he comes home for lunch. After the weekly shopping trip we have whatever is leftover to spend the rest of the week. When the cash is gone, it is gone. No more trips to 7-11 or Sonic, or Dollar store, etc. I try to leave enough to go back for extra fresh fruit or milk and to have one eat out on the weekend or trip to the theatre. We have found great ways to cut our eating out budget by sharing meals/drinks with our 4 and 6yo or picking up sandwiches or burgers and bringing the home and adding drinks and such here. Truly, cash is the way to go! Due to a miscommunication this week, we didn’t get my usual $75 cash out of the bank. My husband asked if I could just use the debit card and keep track (so we didn’t spend extra gas going back to the bank). I whined, “but CASH is so much easier!” LOL I caught myself and quickly realized that I was probably in a minority there. Most people would think that a debit card was much easier! Oh well, I carefully kept track and added up my grocery list as I went through the store, then put stuff back when I realized I was getting too close to my total. And, I came in at roughly $74 between 2 stores. We love the envelope system and it has helped us become debt free! Gotta say the envelope system is great, but I’m lazy. I hate adding one more trip to my week to go to the bank and get the needed cash for the week. I’ve become spoiled by direct deposit and automatic withdraws for all the usual monthly bills. We used to use the credit card for everything because we earned Amtrak points for travel, which we use every year on vacation. But we found that we spent more money and often had to “borrow” from savings to pay the bill off each month. Now that we use a combination of cash, gift cards, and the debit card we spend less, have more in savings and have better control of the “gotta-have-its”. My husband and I talk about finances often (several times a week) and have clear goals about retirement, home improvements, vacations, etc. We’ve taught Financial Peace U at our church, but I will admit that I have trouble keeping the monthly budget up to date each week. (May is already woefully behind) But I am committed to filling those envelopes this week and starting fresh on the “cash only”. I think it’s great that you some of you can use all cash. We cannot. Mostly it’s credit cards which we do pay off each month and we use the sparingly. For groceries and gas, it’s debit. Basically, the only thing we use cash for is restaurants and that’s once a week and not fancy. I’ve had cash envelopes for years. Besides the basics, I have one for medical bills/perscriptions/deductibles, one for graduation from HS for son and one for all the vehicle inspections/tags/taxes…I think all together, we have 15 envelopes. Good for you Beth! Keep it up! We do not use cash envelopes although I am quite interested in using them we just haven’t “gotten around” to do so. A lot of people are commenting about gas and I just wanted to throw this out there… Winn Dixie has a fuel perks reward card. We got 20 cent off per gallon of our last fill up just by shopping at Winn Dixie!